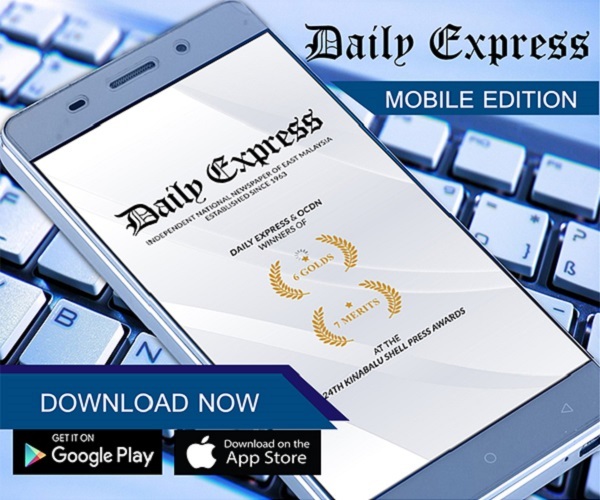 Five held over theft at transmission station | Daily Express Online, Sabah, Malaysia. 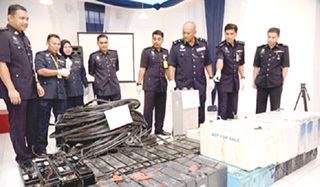 Kota Kinabalu: Five men, including a foreign national, were apprehended in connection with a theft at a Celcom transmission station in Bukit Padang.State Criminal Investigation Department (CID) Chief Datuk Salehhudin Abdul Rahman said the men, aged between 18 and 49, were arrested in separate raids in Putatan, Kinarut, Tenom and Keningau between March 3 and 4. "A police report was lodged by a Celcom staff in Kota Kinabalu on March 3 in which it was reported that when he made an inspection at the station on the same day, he found that the station's transmission battery and transmission components were missing. 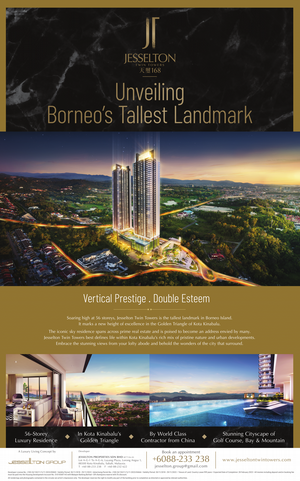 "A special taskforce was immediately created to handle the issue. In a series of raids in the four areas, police managed to apprehend five men, including an undocumented Indonesian, aged between 18 and 49 in connection with the case," he said. He added that police also confiscated one Proton Iswara, 27 car batteries, a wire cutter, one Isuzu D-Max and a modified Allen key. Total confiscated items were worth around RM240,000. Salehuddin said three of the suspects have previous drug convictions. Meanwhile, he said, in another case, six men were arrested in connection with a robbery of electronic communication components belonging to Telekom Malaysia in Tuaran. "On Feb 13, a police report was lodged by a TM staff in Tuaran who found that about 200m of the company's communication cables in Tuaran have been cut and stolen," he said. Following police investigation, on March 4, police made a raid on a house in the Telipok Resettlement Scheme where six men were roped in namely two locals, three Filipinos and an Indonesian. All the foreign nationals have no identification documents. Salehuddin added that police also confiscated several rolls of TM cables at the scene as well as one Proton Iswara and a Vanette van. Total confiscated items were estimated to be around RM220,000. "All the suspects tested positive for syabu," he said. In connection with the case, he added, police also brought in a married couple who operate a recycling centre in Jalan Bantayan, Inanam.